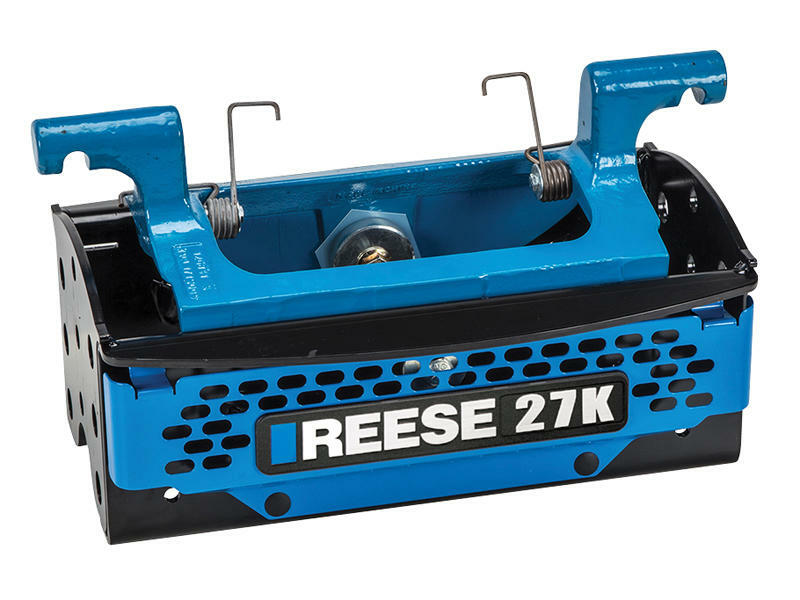 Introducing the new M5 fifth wheel hitch from Reese. You no longer need to get out of the truck to prepare your hitch for towing. 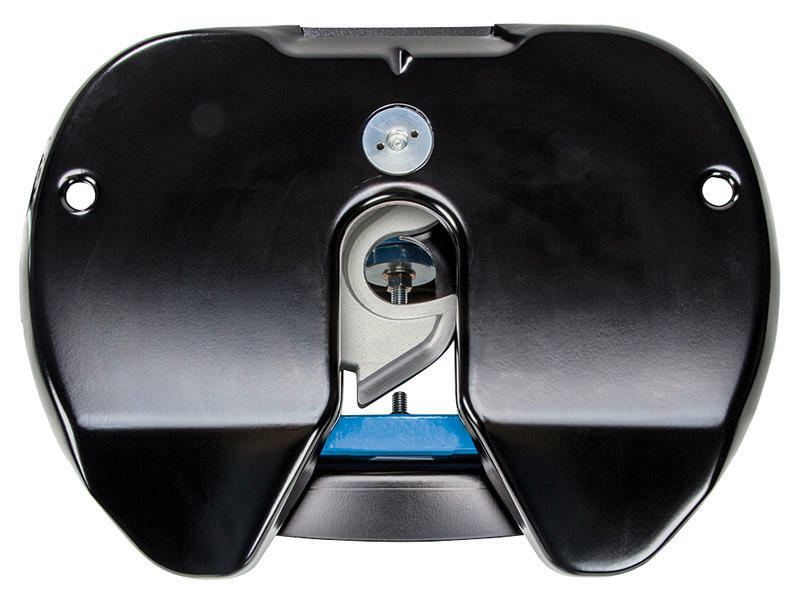 The exclusive Talon™ jaw allows you to simply back in, secure the trailer and go! 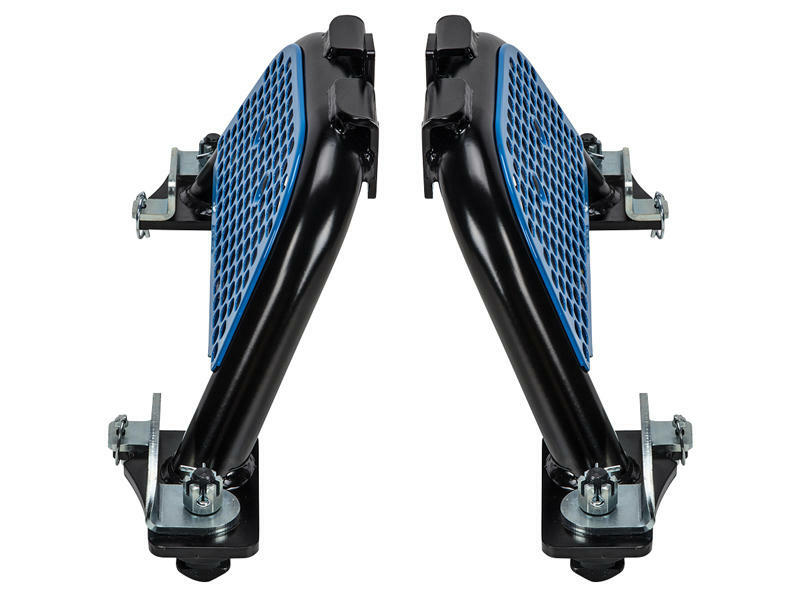 Backing in is simplified with 20 percent more area to land your trailer, a fully articulating head for coupling on uneven terrain, and the convenience of a built-in V-notch to help target your trailer's king pin. You'll hook up with confidence every time with the high-pin lockout feature. Coupled with the Reese clear Tow/NoTow indicator that's easily visible from inside the cab or next to the bed, you'll know when you're ready to tow. And when it's time to unhook, the easy-to-reach ergonomic handle operates effortlessly thanks to the patent pending Talon™ jaw system. Wide center section connects as close to the frame as possible for a solid, stable tow. Shock dampening, tighter tolerances, and tighter connection with the gripping Talon™ jaw system. Offset head provides ideal clearance between the trailer and truck cab. 3 optimal height adjustments from 14" to 20"
Tested to SAE J2638, the industry's highest standard. Founded in 1952 by TJ Reese, Reese pioneered the technology that has set the standard for today's advanced towing systems designs. Because of our unwavering commitment to quality, safety and innovation, Reese Products has earned the reputation as the premier manufacturer of hitching systems in North America. Our culture at Reese is to relentlessly push the envelope in our quest for the most innovative, highest performance and unparalleled quality products. Employing leading edge engineering tools like computer aided design, fatigue testing, finite element analysis and advanced quality planning, we constantly explore new ways to take our products to ever higher levels in quality and performance. Our mission at Reese is to build the most valued, reliable, durable and easy to install products in the marketplace. Our first products came off the assembly line in 1952 and were overwhelmingly received by outdoor enthusiasts everywhere. Reese Products rapidly became known as North America's most recognized brand in the marketplace. By 1968, Reese's commitment to quality products was so highly regarded that the RV Industry asked Reese to develop tests to gather data related to trailer towing loads. That data later became the industry-testing standard called V5 and SAEJ684. 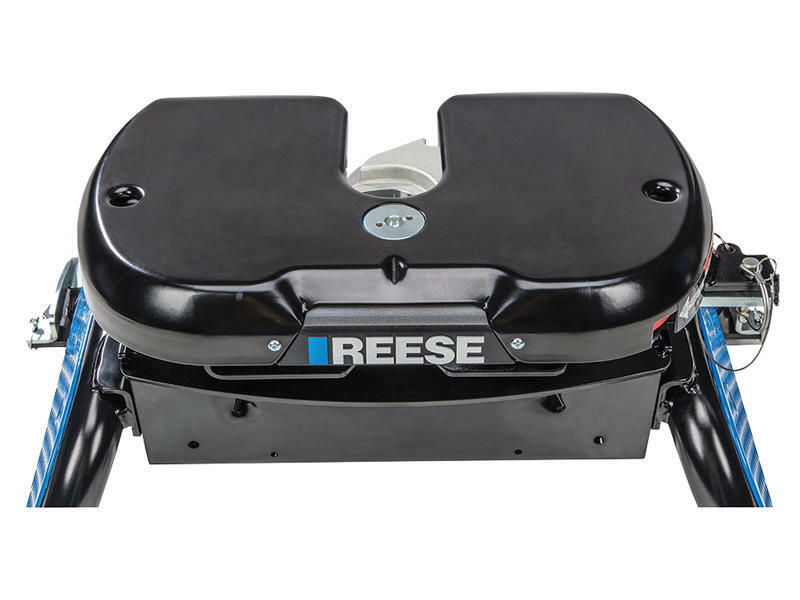 Reese pioneered the technology now used by all leading hitch manufacturers. 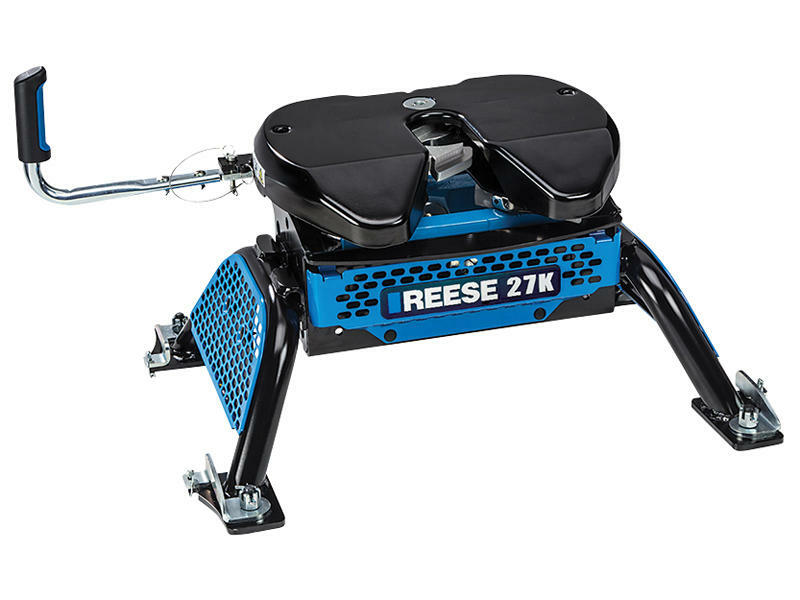 Over the years Reese has introduced numerous revolutionary and innovative products to the towing market. These product "firsts" include the aluminum trailer stabilizer jack, custom designed bolt on receiver style trailer hitches, adjustable trunnion style weight distributing systems, dual cam sway controls, removable fifth wheel hitches, sliding fifth wheel hitches, class IV trailer hitches and "install it yourself" multi fit trailer hitches. At Reese we take pride in discovering new products and technologies to enhance and improve the towing industry.